Tucked away on the Himalayas is Nepal, is one of the most spectacular places in the world for scenery and culture. There are so many opportunities for adventure in this country, from mountain exploration trips, to discovering temples, ancient culture and local practices. 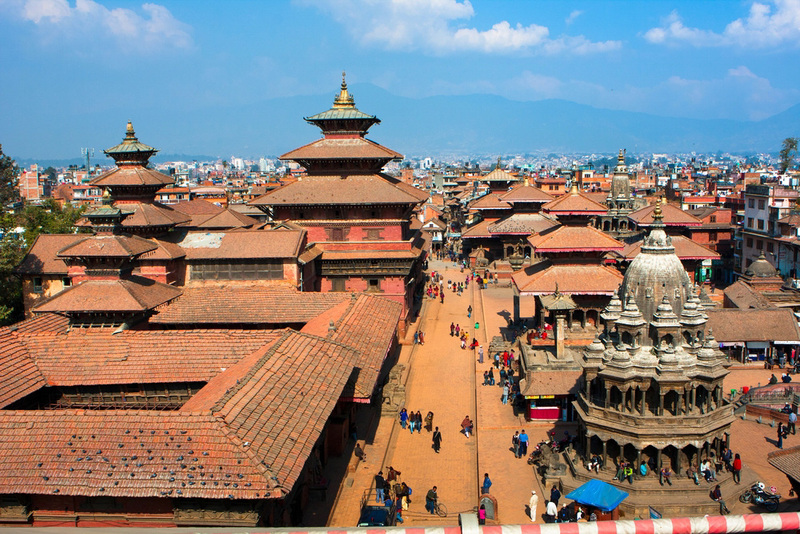 Get your Nepalese holiday started in the capital city: Kathmandu. The neighbourhood of Thamel is a haven for tourists and is chock full of hotels, restaurants, shops and stalls. Keep your wits about you when the street vendors try to get you to part with your rupees, but if you keep a clear head, you could leave with a great selection of purchases, from Tibetan Singing Bowls to silks and incense. By night the streets take on a whole new atmosphere. Smells of spices and hot food fill the streets, along with the vendors and golden lanterns. Thamel is a great place for nightlife. There are many stylish bars and clubs with new ones opening all the time, so you can relax and dance with your friends. Check out the Rum Doodle Bar for a laid-back vibe, or Tamas Spa Lounge for a more sophisticated atmosphere. Nepal has a rich spiritual culture and Kathmandu is home to many places that depict this. The Pashupatinath Temple has been dubbed The Holiest Hindu Temple. This sacred temple of Hindu Lord Shiva is also known as ‘The Temple of Living Beings’. As a building, it is an ancient and architectural beauty dating back to 400 A.D., but it is so much more than that. It is home to powerful faith and religion of Nepal. The intricately detailed rooms have witnessed thousands of pilgrims who have come to pray within these walls. Boudhanath Stupa is another place that pilgrims flock to. This stupa, or Buddhist shrine, is the largest in Asia, and one of the most beautiful. The building is rich with age, the cream dome brightened by colourful flags that are strung down from the steeple. The area around the stupa is full of monasteries and workshops that show Tibetan Buddhist life and culture. For both elements of ancient religion and bustling street life, Durbar Square is the place to be. The Cultural World Heritage site is lined by old royal palaces and is home to temples and courtyards, water fountains and idols. This is a place seeped in history, where Kings lived and ruled. It’s known as a central point for the city in terms of religion and urban life and dates back to the 12th and 18th centuries. You can spend hours wandering throughout the square and beyond. Two major attractions are the Taleju Temple and Hanuman Dhoka, a palace facade that was created for the monkey god. Climb the steps of the temples to get a better look. Head on over early in the morning to witness a number of merchants and devotees make offerings to the many shrines and temples located in the square. There are also museums here, so you can learn more about the history of the place and the people. The Mahendra Museum and the Tribhuvan Memorial Museum are worth checking out. The former looks in particular at the lives of three of Nepal’s Kings from the early 18th century. Their rich and vibrant stories are told through a series of exhibits that include many of their personal belongings. You’ll see the coins and stamps collected, as well as gifts and handwritten poetry and manuscripts. Kathmandu is full of life that is just waiting to be discovered. Check out these three attractions for a combination of past and present, spirit and culture.